Photo of Hpakant jade mines in Myanmar by Minzayar Oo. I'm Patrick Winn, a journalist and non-fiction storyteller. I write, produce radio and make documentaries. 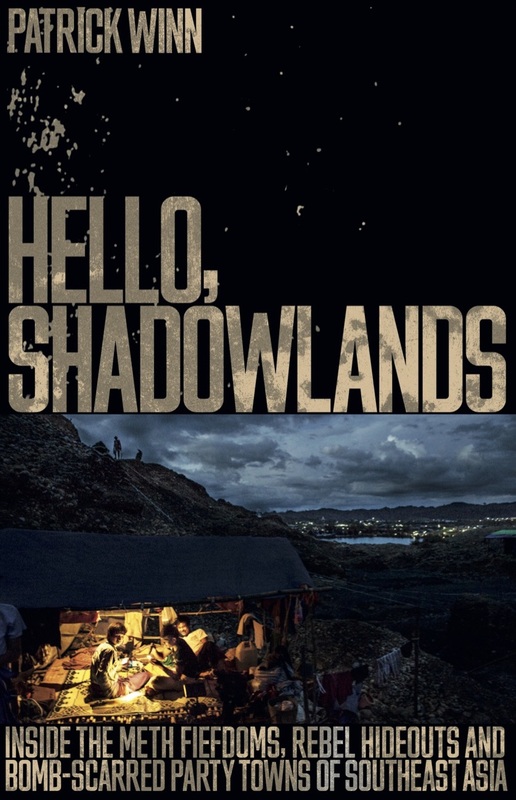 I wrote a narrative non-fiction book titled HELLO, SHADOWLANDS: Inside the Meth Fiefdoms, Rebel Hideouts and Bomb-Scarred Party Towns of Southeast Asia. I'm based in Bangkok. My work is focused on Southeast Asia and tends to dwell on organized crime. Other interests include pop culture phenomena, vigilantes, colonialism and its aftermath, street food and any overlooked story with a strong US angle. I'm currently the Asia correspondent for Public Radio International. You can hear me on PRI's The World, a radio program co-produced by the BBC. It's a foreign affairs show heard by millions each week on NPR stations across America. My work has also appeared in/on The New York Times, BBC Radio, NBC News, The Times of London and many other outlets. Inside the Meth Fiefdoms, Rebel Hideouts and Bomb-Scarred Party Towns of Southeast Asia. Published by Icon Books in London.